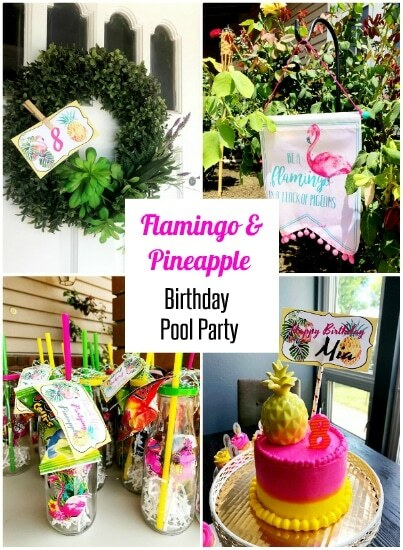 When I asked my daughter what birthday party theme she wanted this year for her 8th birthday party she said, “pineapples and flamingos!” I replied, “how about pineapples OR flamingos?” She insisted on both. 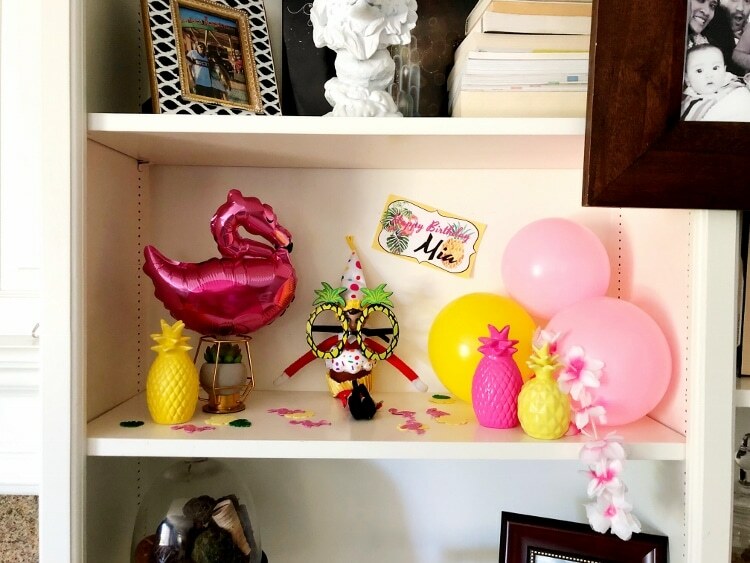 At first, I panicked but then about a week later, I walked into the 99 Cent Store and low and behold, they had an entire section of Flamingo and Pineapple party supplies. My prayers were answered. 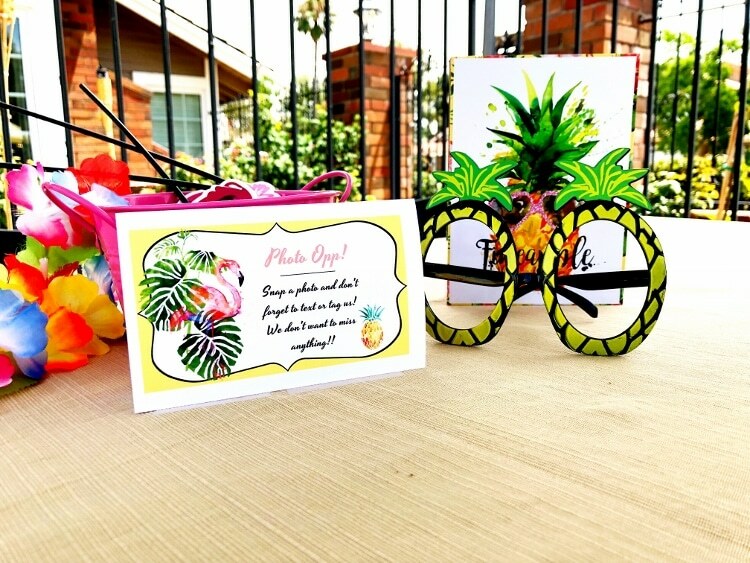 Not only will I be able to pull this party theme together, but I would be able to do it on a budget. I quickly bought decorations, paper plates, napkins, cups, and then some. I think I bought 80 things because my bill was $80. Ha! 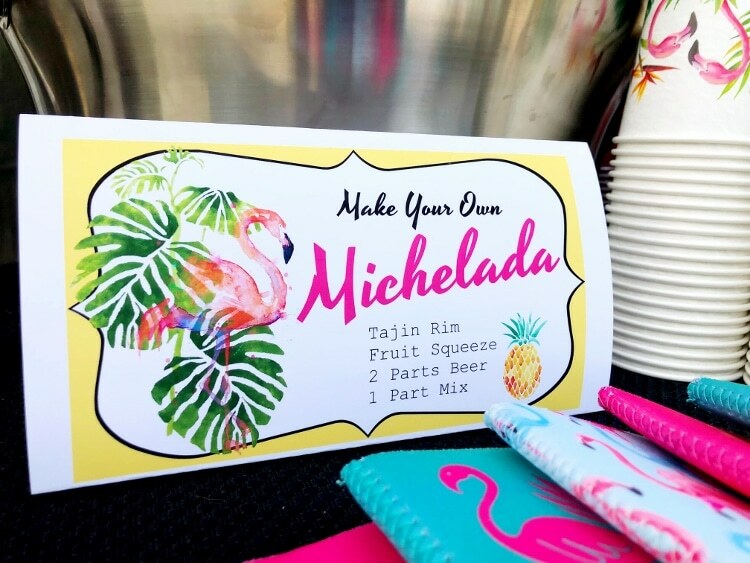 I then went home and worked on a matching design for some signs, her invitations, and party favor gift tags. 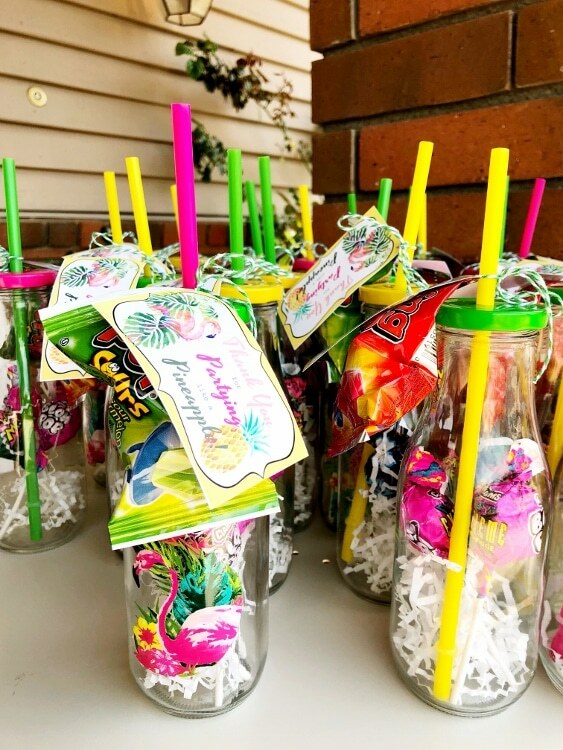 Here is how her summer birthday pool party turned out. 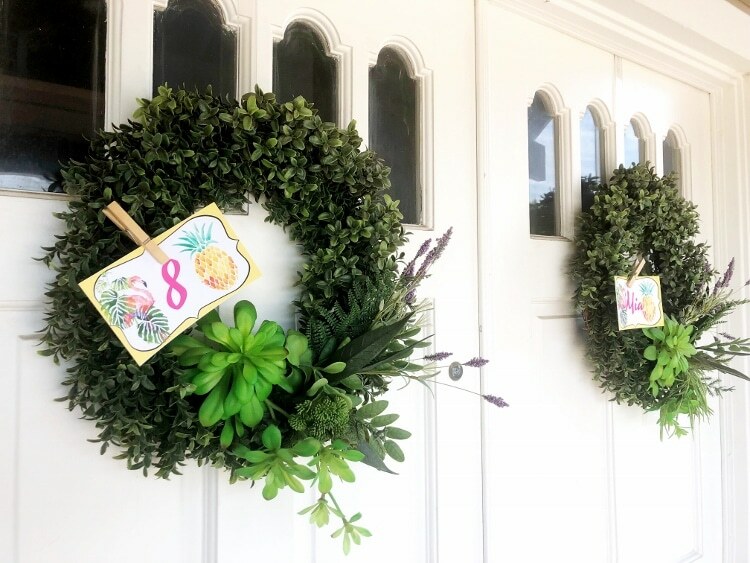 You have to walk through a gate when you walk through the front door so I lined the walkway with a combination of 99 Cent store banners, tiki torches from last year’s Minion Hawaiian Luau, and decorations I borrowed from my mother in law. 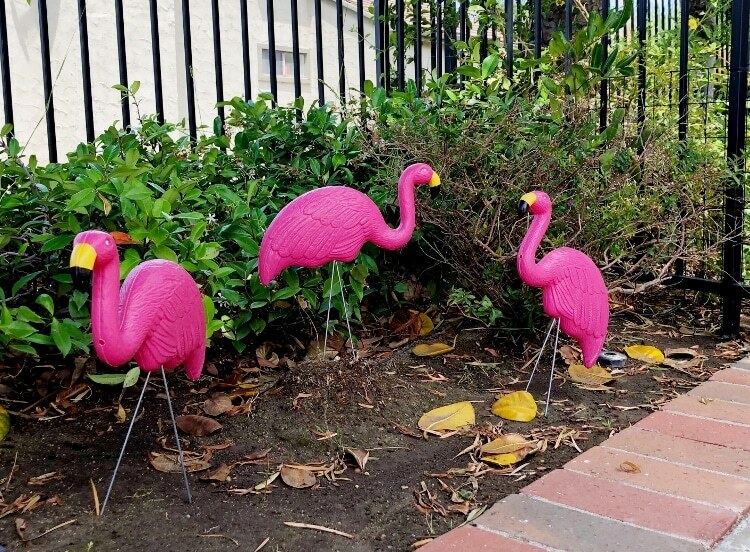 I also placed some plastic 99 Cent Store flamingos all over the yard and around the pool. 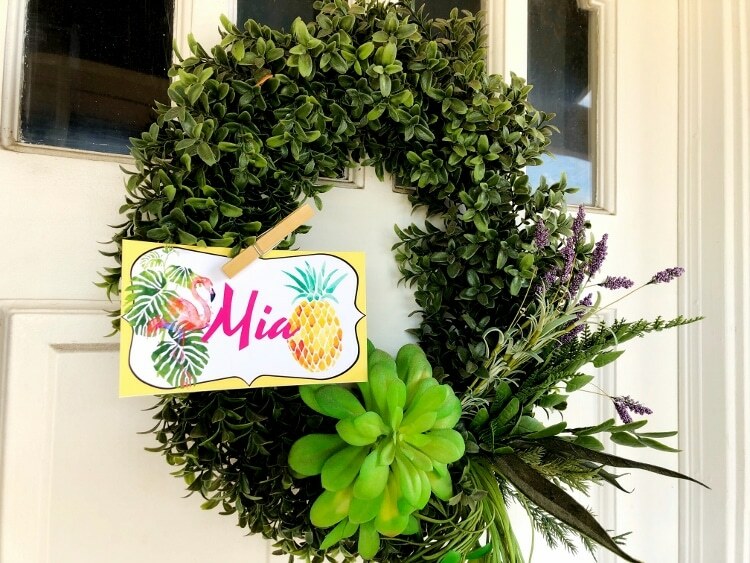 At our front door I kept our wreaths out and simply made an “8” sign and “Mia” sign that I clipped onto it with a clothespin. 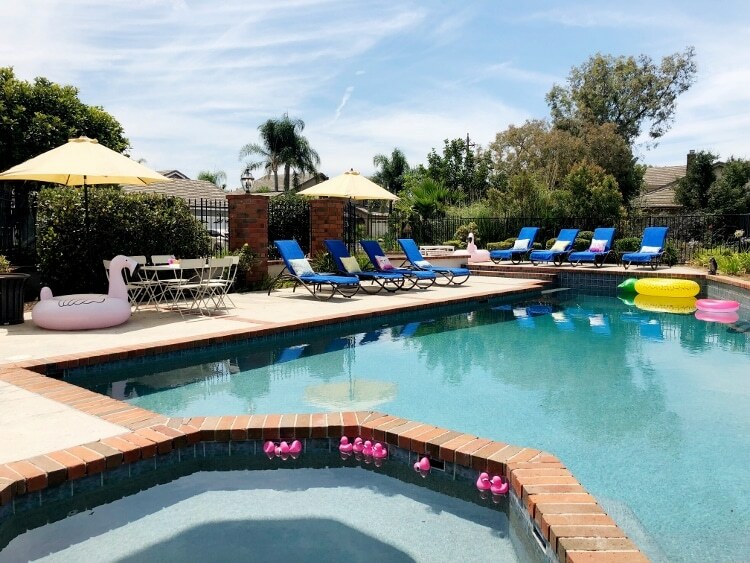 Around the pool I placed several tiki torches, pineapple and flamingo banners, and pool floats. 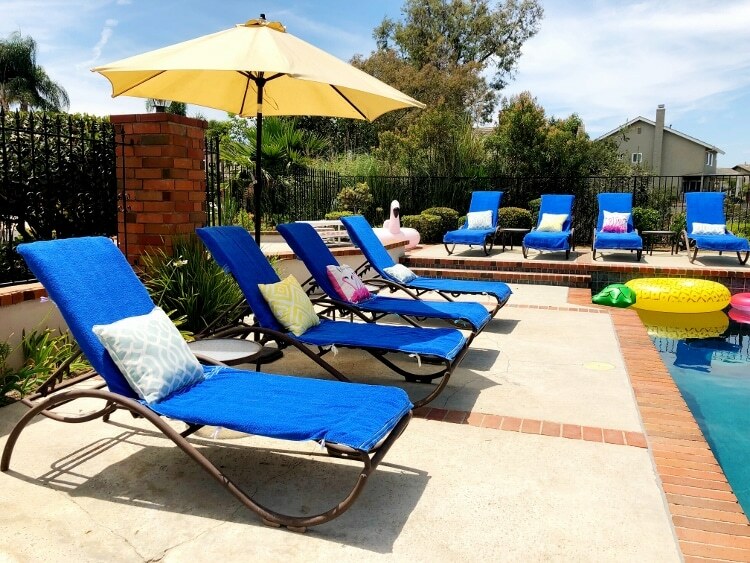 The lounge chairs around the pool were covered with lounge chair covers that my mother-in-law made out of towels. Aren’t they brilliant? Maybe I’ll post a tutorial on them because they are amazing! 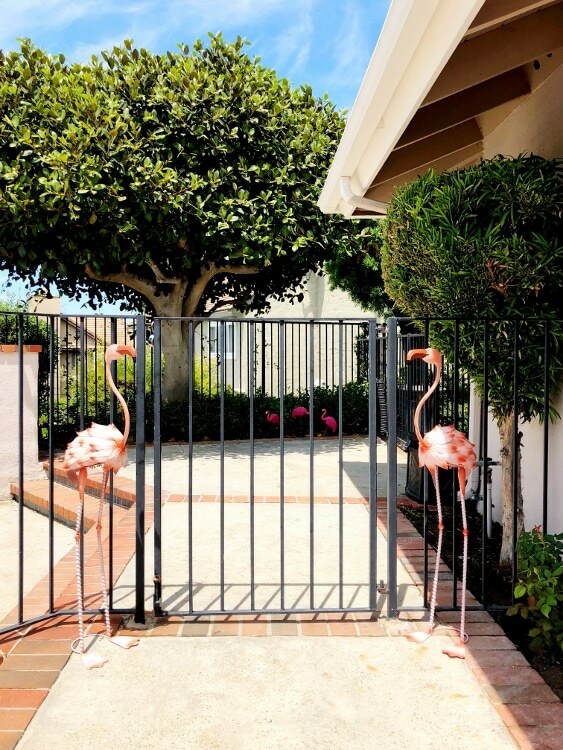 I also put pink flamingo pillows and yellow pillows on the chairs that I bought on sale from Michael’s. 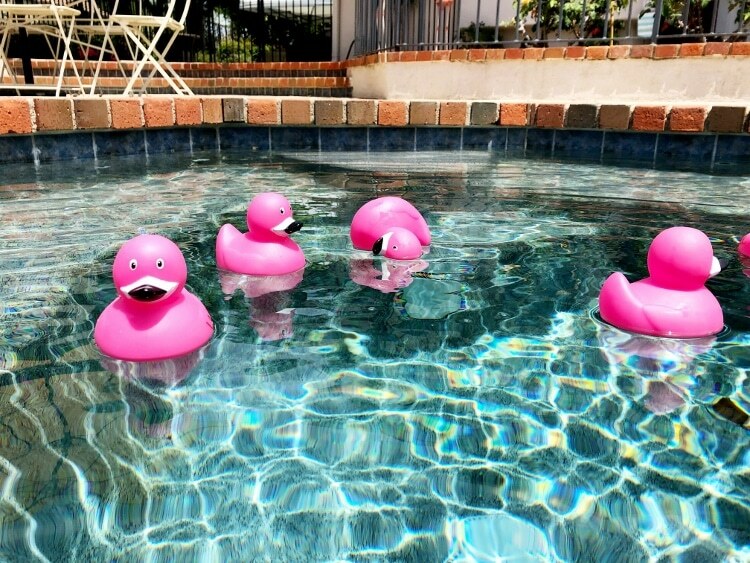 I also threw in some flamingo rubber ducks in the spa, also from the 99 Cent Store. 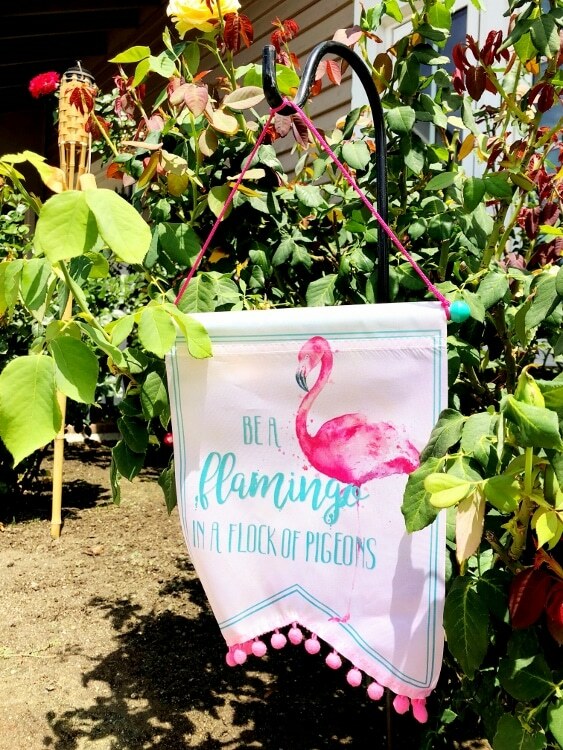 For centerpieces I placed a small bucket filled with photo props and made signs that said, “Photo Opp! Snap a photo and don’t forget to tag or text us. We don’t want to miss anything!” I did this because I tend to be so busy hosting the party that I forget to take pictures. 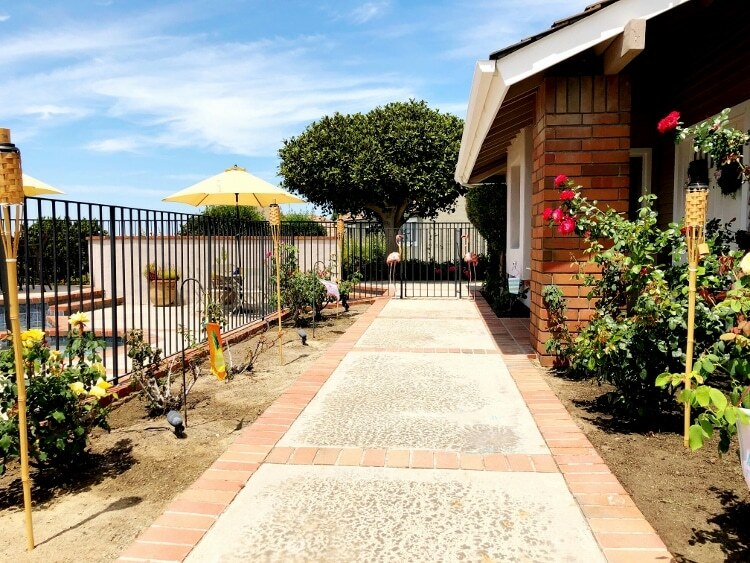 We served macaroni salad, fruit and veggies, and chips for the party. 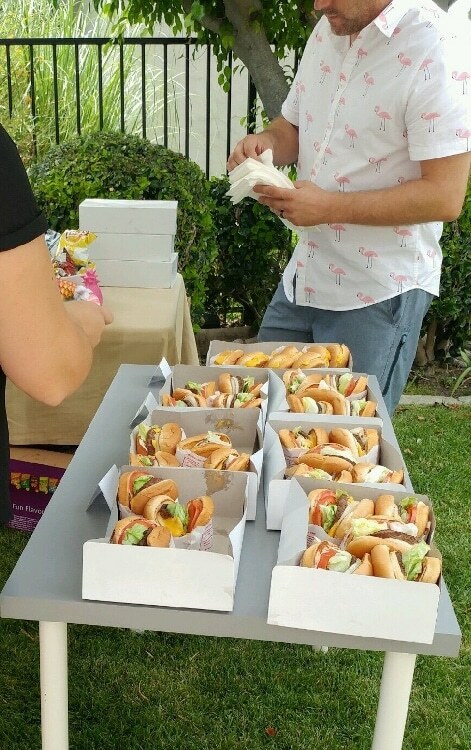 We also picked up grilled cheese, hamburgers, and cheeseburgers from In and Out Burger. 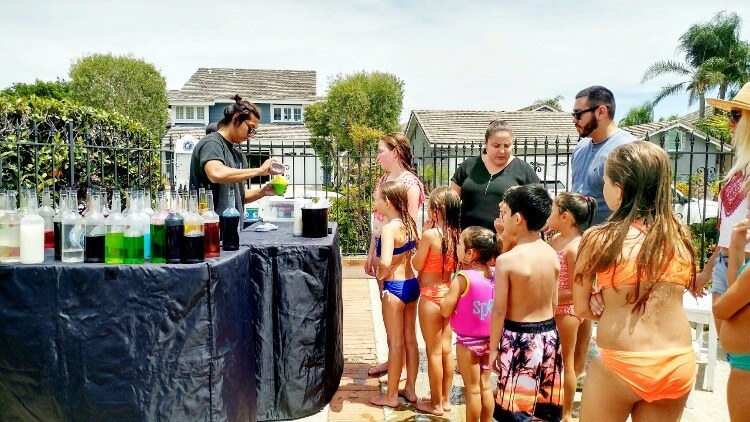 We also had a shaved ice booth from Wiki Wiki Shave Ice come by. 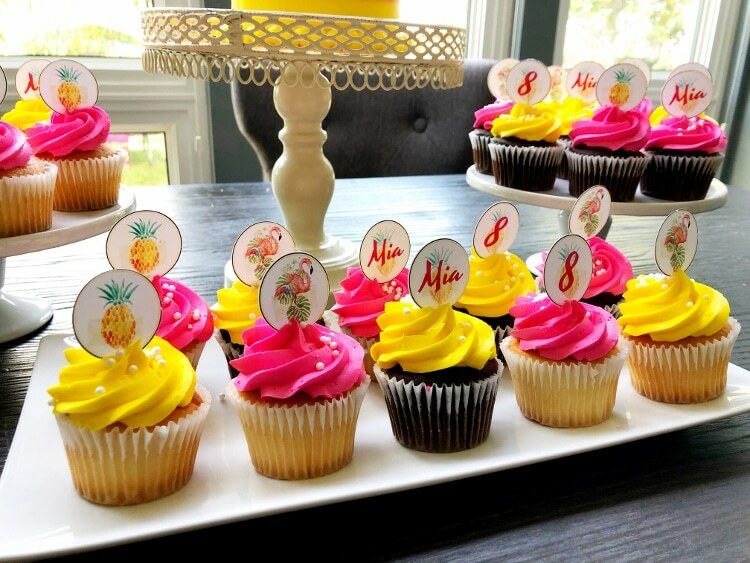 For cake and cupcakes, I ordered them from our local Von’s and I made my own toppers to save money. 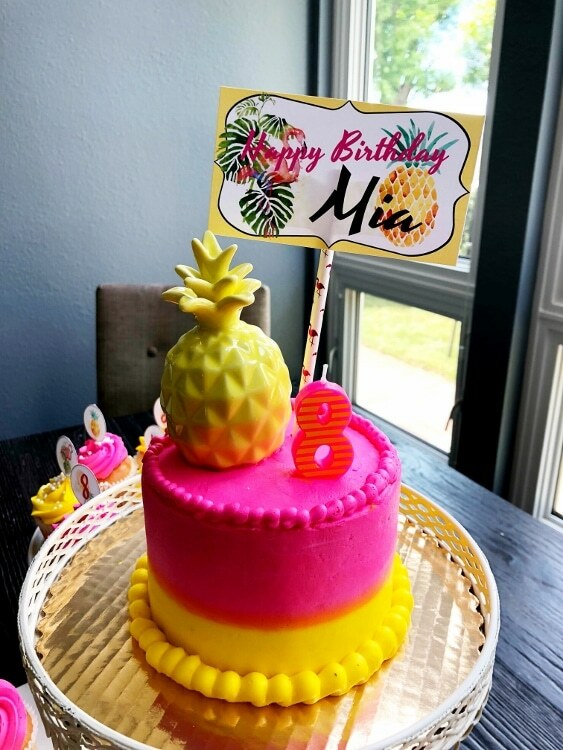 Guess where I bought the glass pineapple on top of the cake! Yup! The 99 Cent Store! 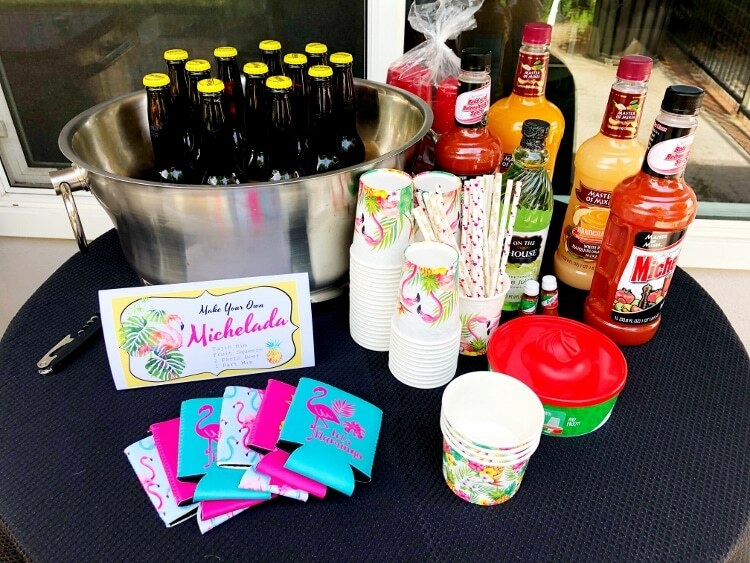 For the adults we also had a Make Your Own Michelada beer bar! That’s about it! 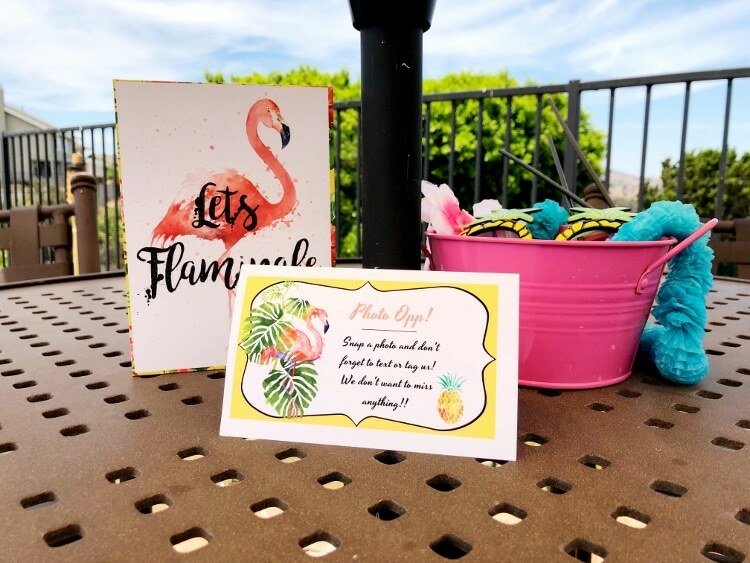 Not to shabby for a Flamingo and Pineapple Birthday theme. 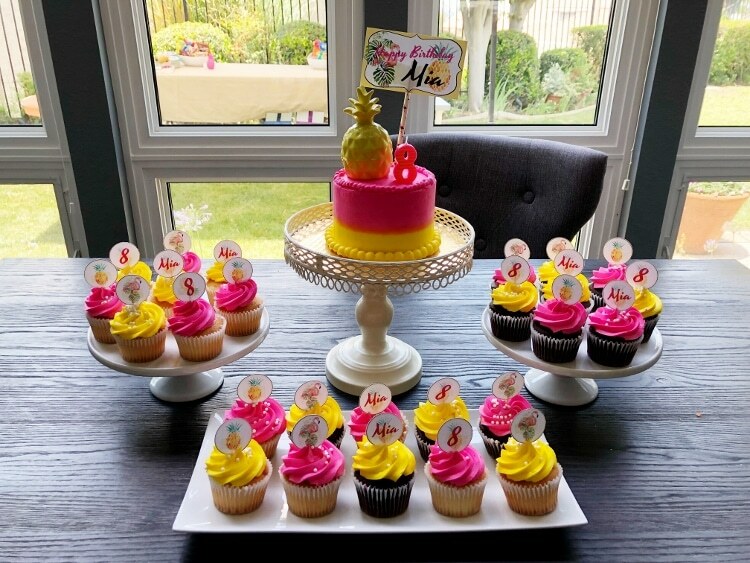 In case you want to her parties for the last two years, check out her emoji party and minion Hawaiian party! I almost forgot! 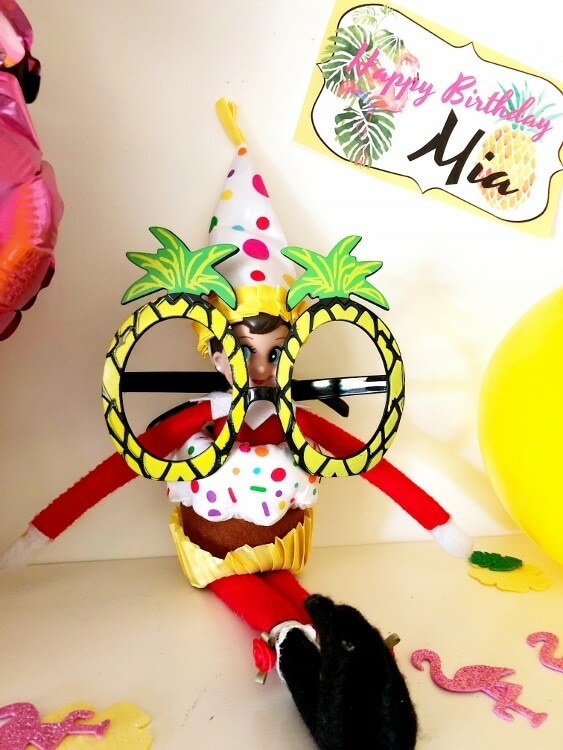 Our elf Josie showed up to say Happy Birthday as well!